The speculation over India's premier spinner Ravichandran Ashwin's fitness continues. On Monday, the Indian cricket team finally hit the nets. After enjoying a much needed break midway through the energy-sapping five-match Test series, the visitors began their preparations to draw level against England. However, the speculation over their premier spinner Ravichandran Ashwin‘s fitness continues. A groin strain during the third Test at Trent Bridge raised concerns over whether he will be able to play in Southampton. But on Monday, while Ravindra Jadeja, who is yet to get a game in the series, bowled his heart out, Ashwin reportedly was standing with team physio Patrick Farhat and trainer Shankar Basu. He didn’t bowl nor was part of fielding drills but did bat for some time. 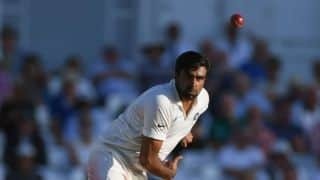 The Indian team management continues to be hopeful that Ashwin will be able to regain full fitness come August 30 when the third Test starts. 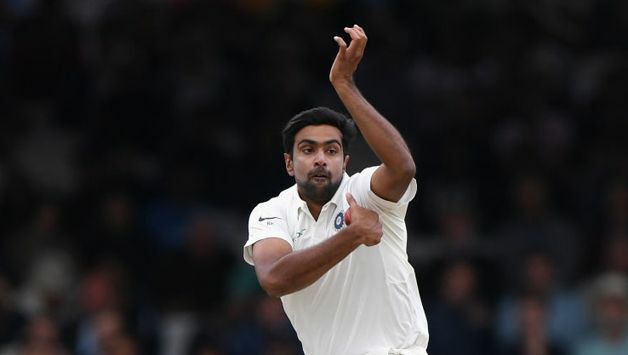 Head coach Ravi Shastri, when questioned on the offspinner’s injury status, had earlier replied that had there not been a gap of a week between the third and fourth Test, Ashwin would have definitely sat out. “This break will be ideal for him. If there was a Test match starting in three days’ time, then it would have been a problem,” Shastri had said. 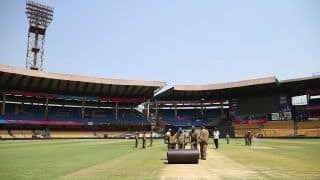 The pitch, as per a report in The Times of India, had a bit of grass cover which means the pace battery comprising Jasprit Bumrah, Ishant Sharma, Mohammed Shami and Umesh Yadav will find the conditions conducive. Shami and Hardik Pandya bowled briefly but Umesh got an elongated spell and troubled opener KL Rahul. India are aiming to draw level in the series which they currently trail 1-2. After losing the first two matches, they put up a vastly improved show in the third game to record a 203-run victory which has kept the series alive.